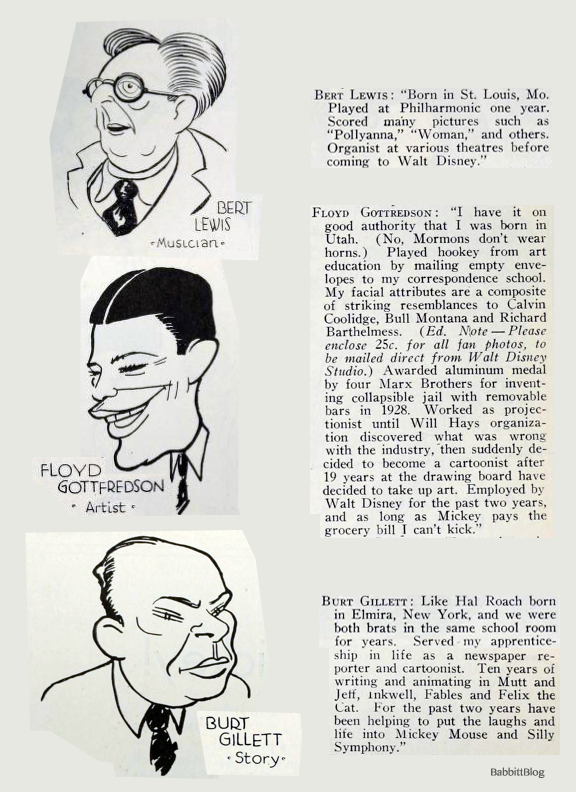 Here in the continued auto-bios of the Disney staffers, Bert Lewis lists his creds, Floy Gottfredson touts his own good looks, and Burt Gillett name-drops. This entry was posted in 1932-1941: Disney Glory Days, Disney, Illustration, music and tagged Bert Lewis, Burt Gillett, caricatures, Floyd Gottredson, Magazine, Motion Picture Daily. Bookmark the permalink.